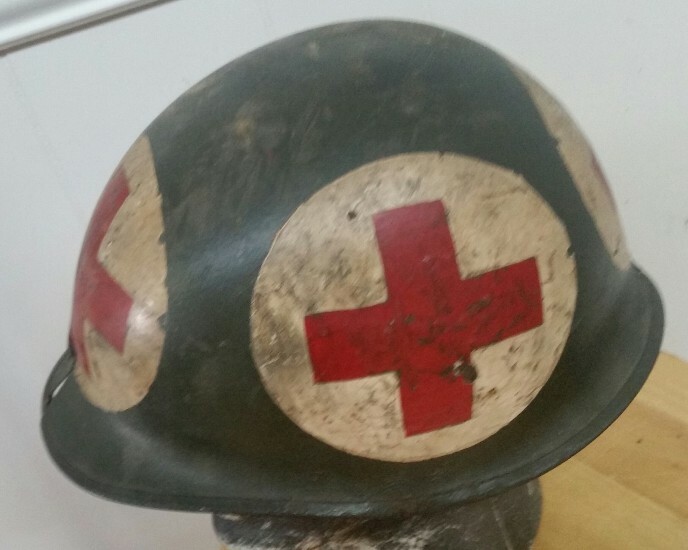 I want so badly to tell you a great story about this helmet and I'm certain there is one! 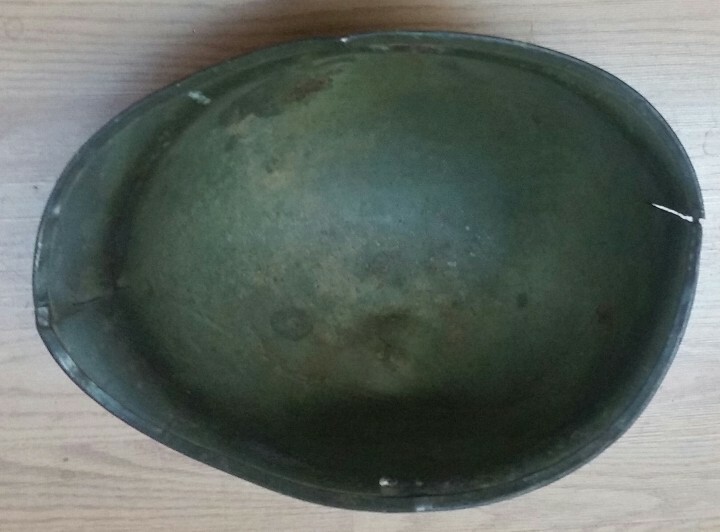 But I have no clue what it is. 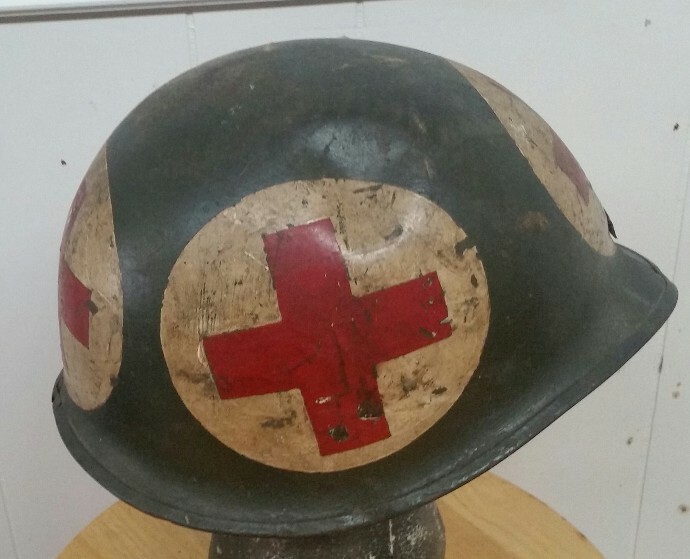 A South Carolina antique shop find with no history. 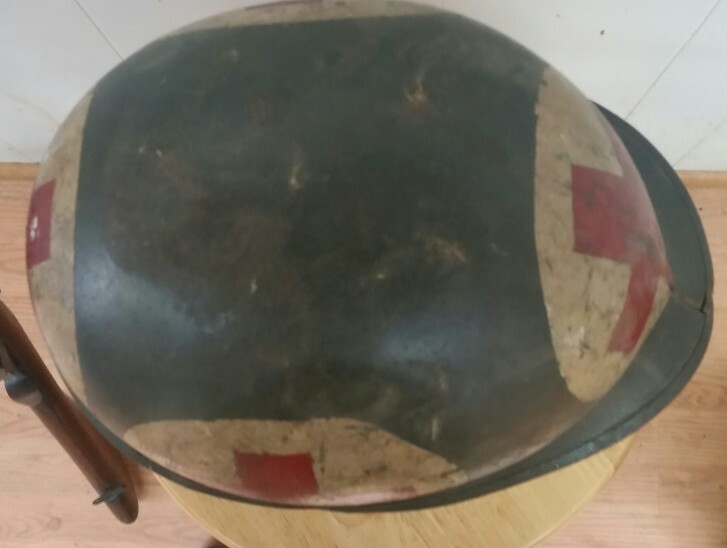 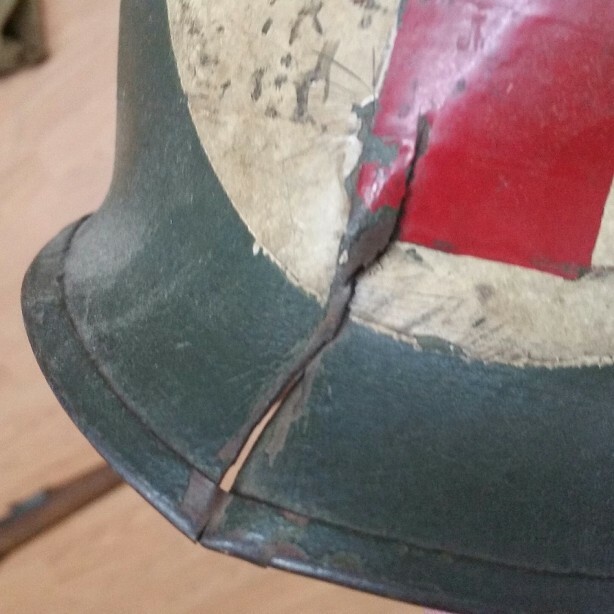 This is an late war rear seam WWII M1 helmet with the smooth o.d. 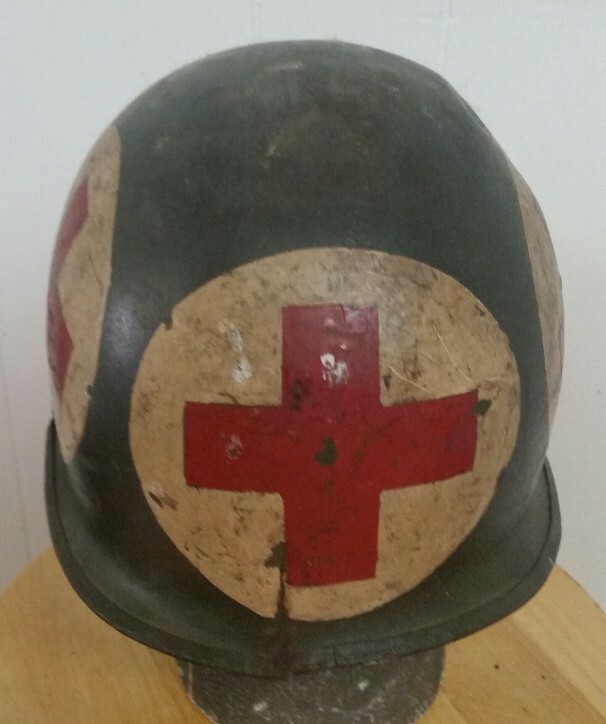 paint associated with the Occupation / Korean War period and Medics panels. 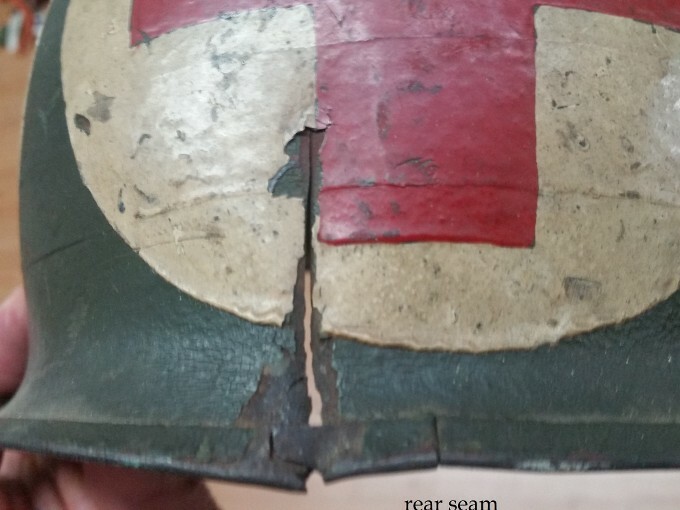 It is damaged and split as shown and close examination will assure you the paint is period and applied before the damage occured. 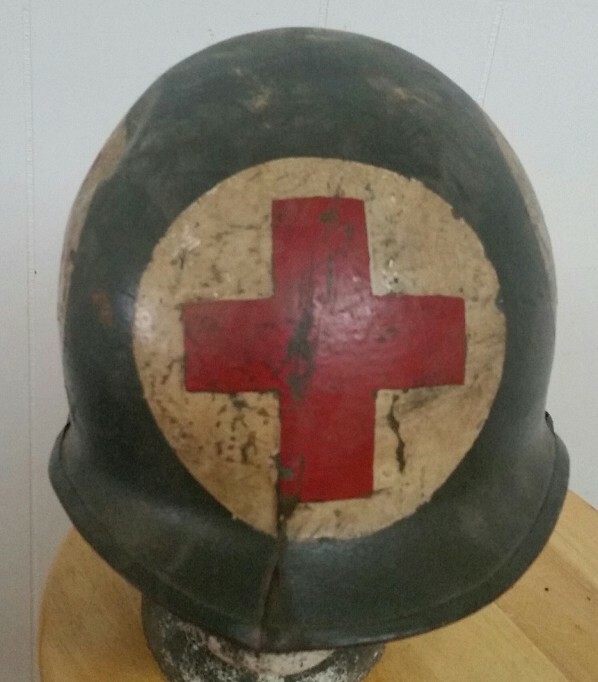 A friend has pointed out that the Army medics had pretty much phased out the four panel medics helmet design by the Korean War but USN Medics, assigned as Marine Corpsman, continued to use it.